For those who live in New York you know of Dinosaur BBQ: it started as a biker bar/bbq joint in Syracuse NY and the food is legendary…at least for non-vegans. Growing up as an omnivore I would eat there, as well as the ‘newer’ locations in Rochester and eventually in Albany. It was always an experience (especially the graffitied bathrooms). 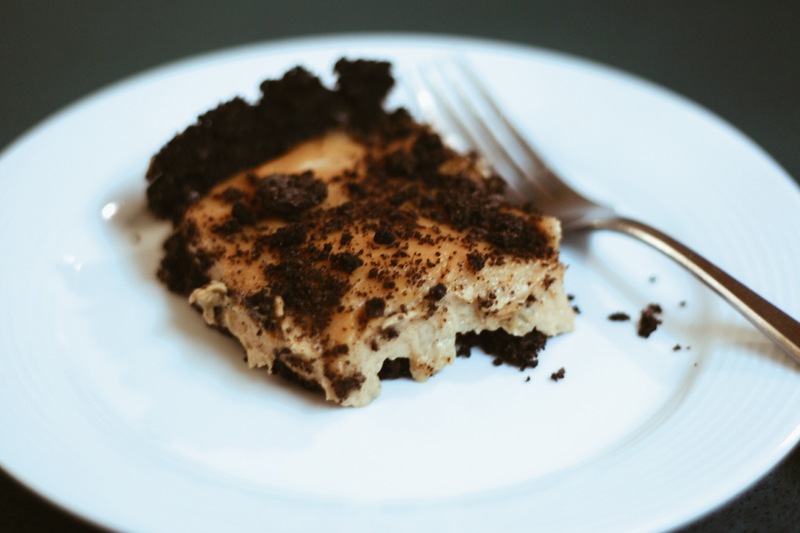 While there are a number of their recipes that are capable of being veganized (the famous Mac Salad being one) the one that immediately came to mind was the Peanut Butter Pie. We know that this month was intended as a month of ‘original’ recipes. 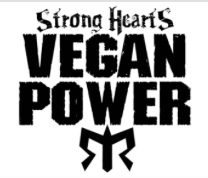 While this isn’t original in the sense that we came up with it from scratch, it is original in the sense that it is the only vegan version of it that we know of. Place oreos in a food processor and pulse until crumbled. Mix oreos in a bowl with the melted butter. Press evenly over the bottom and up the sides of a 9-inch pie pan. Chill while making the filling. Put the cashew cream, vanilla, tofu, peanut butter and confectioners’ sugar in a mixer bowl. Mix on low for 1 minute, until blended, then gradually increase the speed to high. Whip until light and fluffy, about 1 more minute. Spoon the filling into the chilled pie shell. 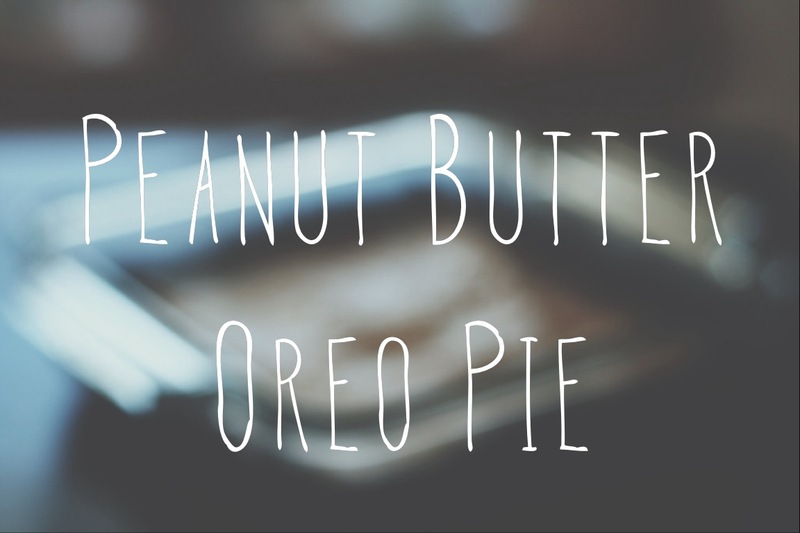 Even off the top of the pie and top it with crushed oreos and/or mini-oreos. Place the pie in the fridge and let chill until set, about 4 hours. Serve chilled! That’s it. 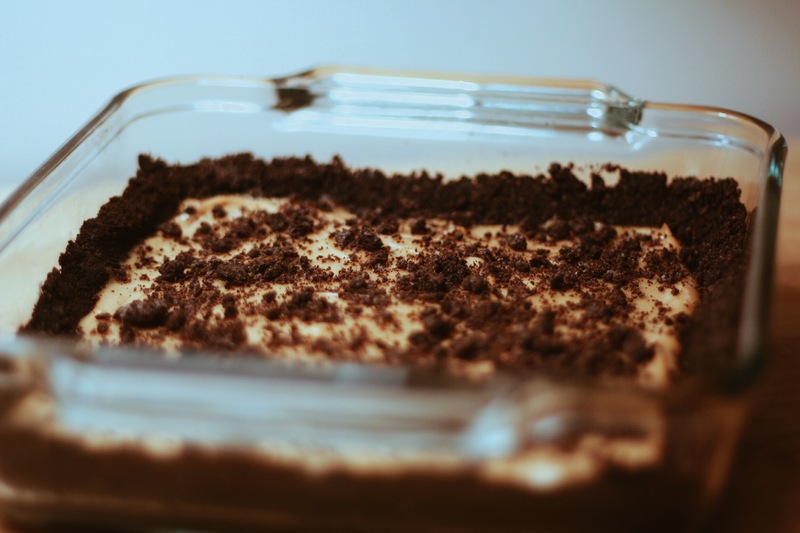 This is a wonderful treat of a dessert that anyone (vegan or not) will enjoy! Eat. Enjoy. Share.